I wanted to quickly blog to remind you all to watch the Season Finale of Extreme Makeover~Home Edition tonight! It is the Williams family from here in Pine Mountain, Ga! They are such a deserving family and their problems unfortunately will not end with a new home as the husband has ALS and quickly takes lives and the son has Spina Bifida! I was there for the reveal and it was awesome and you could see how grateful they truly were and that was not re-recorded for the camera.......it was real! Please remember to keep them in your prayers! Also I wanted to let you all know that the companies that built the home, Nationwide and Palm Harbor, they all used their vacation time and paid for their own travel and hotel rooms and they all were so happy to have done it and all they cared about was getting this house done for this family, not that they were not being compensated for their time! This was truly a blessing to have been a part of to see a community, family, and friends come together for a selfless act to help out some one in need! Hope you all tune in! We are asking for prayers for our Bloggy (and Cas's Words with Friends) Friends Laura and Erik! Laura's Dad has been having some medical issues that you can read about here. Laura is pregnant so we hope is gets better real soon because he will have a new Grand Son soon to spoil! Please say prayers for Laura's Dad and the rest of the family! This week is about wedding gowns. Ahhhhh When I saw this I had to join in. Well since I am getting married in Septemeber I need to find one soon! I have tried on a lot and they range from average prices to higher end and plain to not so plain. I do know I do not like the ones that tie in the back and I do not like the ones that are fitted in the hips, but I do know that I want strapless and something with some sort of the vintage looking lace on it. After trying a bunch on I do know what I do not want! I am running out of time and I am afraid I am just going to have to settle on something. I really have found a lot that I really like but I do not feel that I will be able to wear it for 8 hours (the church does not have air conditioning in it) and be able to sit or dance in many of them! I really hope I find something soon! I can not wait to read all of your posts for some inspiration! I went in the house today and when I left after 9 tonight they were still working like crazy and had a fair amount to get done! I saw Michael Malone in the house, one of the designers. I met a guy that works for Disney that works for the show Handy Manny. I am tired so very very tired. I have to get in the bed so I can do it all again tomorrow. I have VIP passes for the reveal tomorrow along with tons of other people. This should be interesting. Here is the latest on the money they are trying to raise........Day Six. They are still a long way away from what they need. Even $1 adds up if you feel like donating $1! 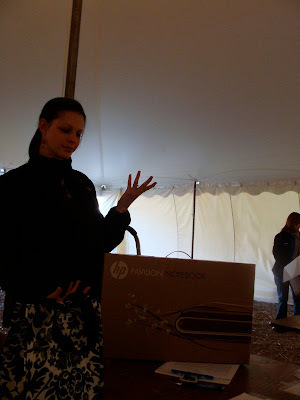 Thank You LG for donating after I blogged about it!!!!!! It has been an awesome experience this week. I am so tired and I know as I am getting ready to head off to bed there are people working around the clock tonight, many have not slept but a few hours here and there. Every person that I have talked to that works for NationWide/Palm Harbor will tell you they have had no sleep and it has been exhausting but they would not trade it for anything. That says a lot about what an undertaking these builds are. Hopefully I will have more to share and some pics after I get to sleep. As you all know I have been out volunteering the past couple days at the site of the Extreme Makeover Home Edition and I am headed back early in the morning. I was able to go up and view the house today (don't have pictures of that because you are not allowed to take pictures). The family is being blessed with a beautiful new home that will meet their needs. The one need that has not been met yet is that they need a wheelchair accessible vehicle that can have a wheelchair lift installed for their son Jacob who has Spina Bifida. The wheelchair lift has been donated already so Palm Harbor and Nationwide Homes are trying to make this a reality. I was in the tent this evening when Dan came down, he is one of the higher ups on the project....I have been told his exact title with the company but for fear that I will give him the wrong title I am just letting you know he is of great importance to this project! Anyways he shared with us that they have set up a fund for this and are trying to raise the money by Saturday which is reveal day. So many people have brought it items and given of their time but they do feel this vehicle is a big thing that would drastically help them. The family does not have a vehicle to support their needs for their son. They are also trying to pay off their mortgage! When Dan was speaking about this I told him I would go home and get to the blog, facebook, and email with this. I know so many of you contribute to so many things but as he pointed out if you tell 10 friends and they each donate even $1-5 and then they tell 10 friends then the money will start to add up quickly to help this family out with one of their greatest needs. If any of you are able to just do a few dollars that would be awesome. If you are able to donate leave me a comment and there will be a surprise in it for you! Go to this site here and there is a paypal link to the right. Dan is in that video above the paypal link. He is the guy on the right. Here are a few pictures to share with you! This lady was donating this laptop to the family! The two ladies are from Nationwide Homes and the guy on the right is with Extreme! He is the man that brings down the blue shirts. I am sure that is a job of many he does! I have not been home long and will be going back to Pine Mountain at 8 am in the morning folks so I am making this a short one. Long story short I ended up heading to the house after driving halfway through half of the Georgian counties because they did not need help at the high school because they were laying floor so other people really could not get in to do any work right then. So when I got there they asked if I would like to help them in the tent? SURE! It is the main tent. No one enters without going through the tent to receive their t-shirt, hard hats, badges and fill out release paper work. So I get to go back tomorrow and Friday to work up their with some fun ladies and the ladies from Nationwide and Palm Harbor. Not sure about the weekend though. We have a party to go to Saturday night although I would like to go to the "Move the Bus" Saturday. The Columbus Cottonmouths came through tonight to come help. It is really awesome to see all the people that have come out to support them and donate of their time and skills. One lady came in today and dropped off a bunch of toys for the kids. Her kids and nieces and nephews all pooled their money together to buy them for the daughter and son that will move into the house! How great! Good Night! You can go here to read about the family and what all is going on! I get to go help on the Extreme Home Makeover this week!!!!! Yep I do! I saw where they were coming to our area and needed volunteers. I volunteered Cas (him the days he is off) and I both a couple of weeks ago starting today through next Sunday but they had so many volunteers in the end that I received and email to come Wednesday. They did not email me back about Cas though. I guess they had all they needed after the media coverage over it. We have been looking for ways to give back and when I heard about this I immediately got online and signed up! I will not be at the house site I will be at the "other" site. You know how many times they have another project going on. The Dad works at the local hogh school and is a coach and the athletic director so I am thinking that they are doing something at his school. I recieved the email about the family today and I will share it later this week. The design team and Ty always travel to the "other" site as well so maybe I will get to see them or the celebrity that is working with them. If not that is o.k. too because it is all part of giving back and "paying it forward"! The rules say that you can not take pictures inside the house but I don't know if you can take "general" pictures or not? I can not wait until Wednesday.....what Extreme fun! We have been so busy and it has seemed non stop since Thanksgiving. I have not forgotten about blogging! I have a lot of things to post when I get a chance this weekend! Happy Friday to you all! #964 (Dealing with a Man) ~ You need to know if you come to him with a problem, he will tell you how to solve it, then get back to watching t.v. He will think his work is done. I can't even get him to stop watching the t.v. while I am spilling my problem! 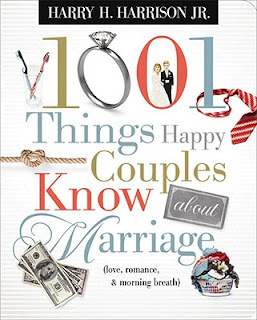 #199 (Marriage and Happiness) ~ You need to know men who marry are less likely to be arrested. They're busy doing chores. And that makes wives happy. If he got arrested he would be there a while! I don't do cops or jails! #800 (Dealing with a Woman) ~ You need to know she secretly believes that if you use her razor on your face, you will give her a staph infection. Somehow though, your razor is perfectly safe for her legs. Amen.....he has the good razor and I have the cheap disposable so I use his often! Not much to report this week. I have just been online looking at ideas. I do have two main colors and some ideas in the works and I will post those later for ya'll. We are going to Birmingham again this weekend so I can go look for a dress. I have found two that I really like but I want to try on more to find "the one"! I have always loved the Melissa Sweet dresses (not just because of the name) but I know that I am not getting one! Ladies who was the designer of your wedding dress and your bridesmaid dresses? Also what stores did you find your dresses at? A small shop or a chain store? Did you have a certain style in your head and then when you tried it on decided it was not "your style"? Where did you have the best luck? Tell me your stories, Bride to Bride! Cas and I met in 2001 after being set up. We are getting married in September, so we are pretty busy these days. We can not wait to see where life takes us! We have a blended family of 5 fur-babies including 4 cats and the baby of the family Maggie the Daschund! Living, Laughing and Loving together!
. 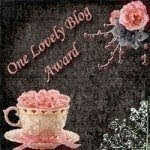 .The Shabby Chic Cottage. .
CouponQueeny-One Coupon at a time! Couponing To Disney has moved! Get the Tip Junkie Giveaway Listings widget and many other great free widgets at Widgetbox!